Becky is an actor from Edinburgh who is passionate about creating comedy. During her time studying HND Acting and Performance at PASS, Edinburgh College, Becky starred in many productions and earned the opportunity to travel to Romania and collaborate creatively with the students of Unversity of Arts Targu-Mures. Becky has worked on many film and theatre projects and performed in 'Living in Caracus', devised by John Naples-Campbell for the National Theatre of Scotland's 'Five Minute Theatre' campaign. Becky realised her true calling was comedy after playing Lisa in Roderick Stewart's 'Alien Nation'. She was delighted when the playwright himself sat in on her rehearsals and offered his feedback. 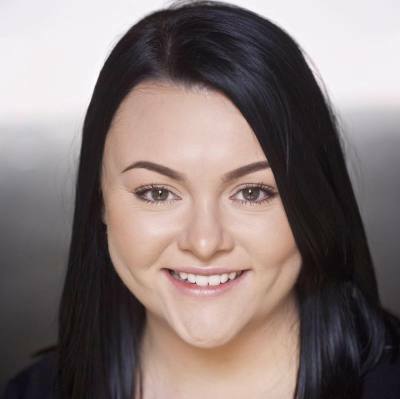 After graduating from PASS, Becky decided to continue her studies at UWS on the BA (Honours) Contemporary Screen Acting course so she could learn how to write and produce her own work. Becky has written and starred in her own comedy sketch compilation piece, '#TheBeckyToddShow.' After years of creating mini-sketch shows via SnapChat, Becky was delighted to bring her innovative and hilarious ideas to a bigger platform.